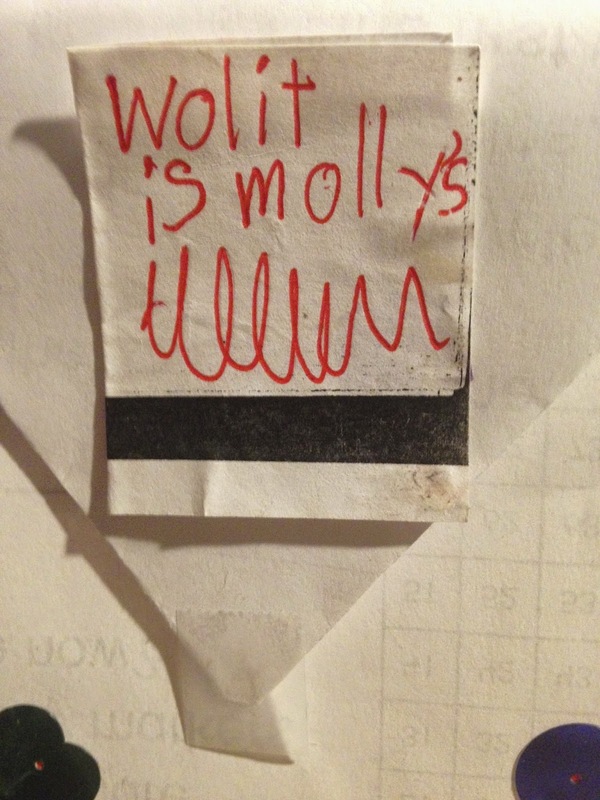 Molly is the seven year old daughter of one of my very best friends. On Friday afternoons she gets off the bus at our house and plays for a couple of hours. She's sweet and fun, gets along with all the kids (and adores a certain fourteen year old girl over here) and comes up with some really funny things. Molly: "I'm going to a birthday party for one of my best, best, best, best friends." Me: "Oh yeah? What's her name?" 2. "Freaky Friday is really funny. It's about these two teenagers and their Friday is really freaky." 3. One week she got off the bus with a brace on her wrist. I asked her what happened and she said, "I was chasing a ladybug. And then fell off of the kitchen table." 4. " None of those presidents smile in their pictures. Did you know why? They all have wooden teeth! I mean, plastic teeth. Both wooden and plastic!" Haha, I need a wolit.